Fox, Megan – Transformers 2 co-star Shia LaBeouf says that Fox may have skipped the third movie because of discomfort with the way director Michael Bay overtly sexualized her character: “Mike films women in a way that appeals to a 16-year-old sexuality… and I think [Fox] never got comfortable with it.” Bay responded by yelling, “Whatever!”, running to his room from the dinner table, slamming the door, and listening to Muse for the rest of the night. Hilton, Paris – Is this the end of an era? Hilton’s new reality show, The World According to Paris, has premiered to unfortunately poor ratings. And thus may end the pop-culture dominance of the lovely, classy, multi-talented heiress, darling of the cogniscenti. Paris, we hardly knew ye. Johnson, Brian – AC/DC’s singer tells PopEater that, among other things, he thinks “all religions are bad.” Guitarist Brett Gurewitz of Bad Religion could not be reached for comment. Nielsen, Leslie – Comic actor Nielsen, who died last year at age 84, has “Let ‘er rip” on his headstone. Always the last laugh. Rose, Charlie – At the New York City Police Foundation’s 40th anniversary gala, famous interviewer Rose twice called Jon Bon Jovi “Jon Bovi,” eliciting laughter from both the crowd and JoBoJov himself. This was the most embarrassing flub from Rose since asking the Coen Brothers about the meaning of their movie Farton Bink. Subverting and perverting your children for 50 years. 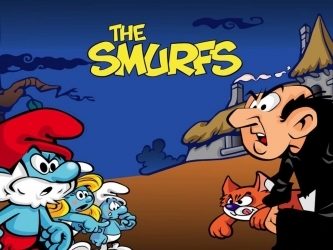 Smurfs, The – French sociologist Antoine Bueno alleges that Smurfs are Stalinist anti-Semites, noting that they live in a collectivist society with no private property under the authoritarian rule of a single “Papa”; their nemesis exhibits stereotypically Jewish features; and their beauty ideal in Smurfette is quite Aryan. Smurfs have also been accused of being racist (pointy white hats; turning aggressive and black (later changed to purple) when “infected”), homosexual (shirtless, tight-pantsed), macho (few female Smurfs), and several other things. Oh yeah, they also live in brightly-colored mushrooms, seek out potent herbs, and measure their height in apples. So Smurfs are Stalinist pagan blue racist gay macho communo-hippies. And yet we watched them and somehow turned out OK.